WINDOW SHOPPER REVIEW – Turning heads at the car show is hard when there isn’t a ton of new ideas to choose from. Seems like everyone is just remaking the same stuff over and over. We here at the Flat-Spot wanted to share these amazing scoops from Grace & Co. We feel they truly stand out from the crowd. A perfect fit for your Holly 2brl. or Stromberg carb. Grace & Co has produced a few air cleaners we like and will visit on future Window Shopper Reviews. Each one of their products look like quality items with a true nostalgic style. It’s nice to see that some builders are thinking out side of the box. 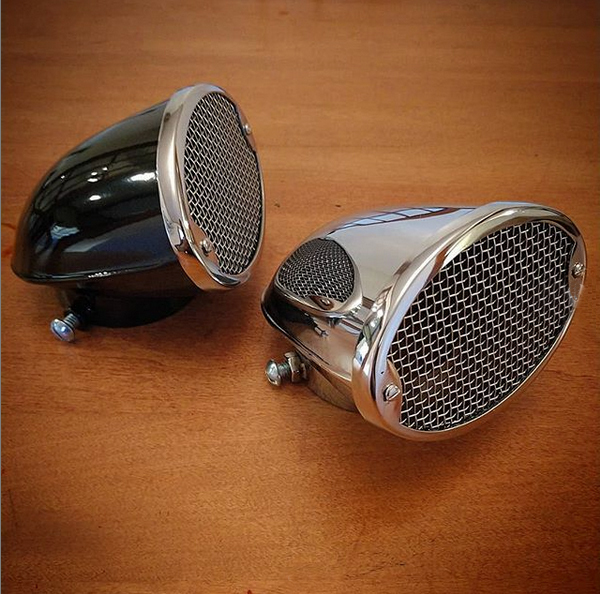 These air cleaners come in both powder coated and chrome. Black with chrome trim are $75 each. All chrome is $100 each according to their Instagram page. Although not on his website yet, make sure to contact them and let them know you saw them on the Flat-Spot. They’re just what we’re looking for when it comes to great Flathead products. CHECK OUT GRACE & Co.